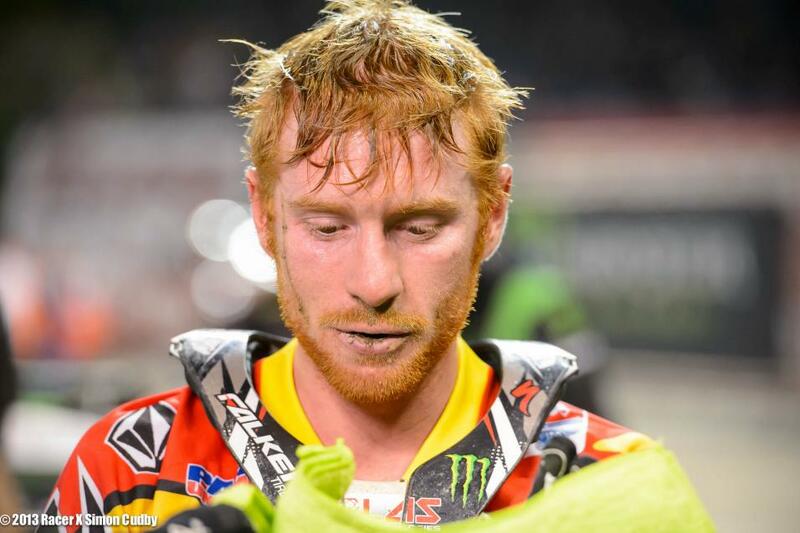 Not even an international border can keep Ryan Villopoto off the Supercross podium, it would appear. Snatching the top spot for the seventh time this season, the Monster Energy Kawasaki rider extended his recently acquired points table lead. The surface at Toronto’s Rogers Center was fairly slippery, the kind of dirt that does not forgive any jerky movements or an untamed throttle. The Transworld Motocross Twitter account cleverly summed up the course by saying: “Whoop section is like a 7th grade dance: real awkward, kinda flat and will send someone home heartbroken by the end of the night”. Consistent eye-opener James Stewart won the first 450SX qualifier of the evening before Ryan Villopoto won the second, an arguably more ‘star-studded’ heat than the first. While Villopoto grabbed the holeshot by inches, Chad Reed snatched the lead after the first bend only to be overtaken mid-air by Davi Millsaps seconds later. The first five laps of the event were some of the most action-packed of the year without a doubt. As the commentary team agreed, the riders wasted no time in squaring off and fighting for the top spot. Mr Consistency Ryan Dungey finally overtook Reed in lap five, just sneaking in over his right shoulder on the sharp bend. Half way through, Villopoto was still trying to hunt down an unfazed Davi Millsaps for the lead; it took him another five laps to break out in front. Across the finish line the results mirrored last’s weeks: Villopoto (1st), Davi Millsaps (Rock Star Energy Racing Suzuki, 2nd) and Ryan Dungey (Red Bull KTM, 3rd). “Davi [Millsaps] was riding unbelievable and we had a great race going; I was able to finally get around him and pull that little bit of a gap,” Villopoto said post-race. The action in the 250 club didn’t disappoint either, when last week’s bad luck boy Blake Wharton fought back for redemption. Wharton blasted through the sand, whoops and all to win the first 250SX heat before East championship standout Marvin Musquin won the second heat on his Red Bull KTM. In the Main Event, Musquin hung out to take the holeshot with Massachusetts rider Jimmy DeCotis breathing down his neck in second place. Shortly afterwards, DeCotis mis-timed a triple jump and took out a tuff block on the process, which cost him seven places. 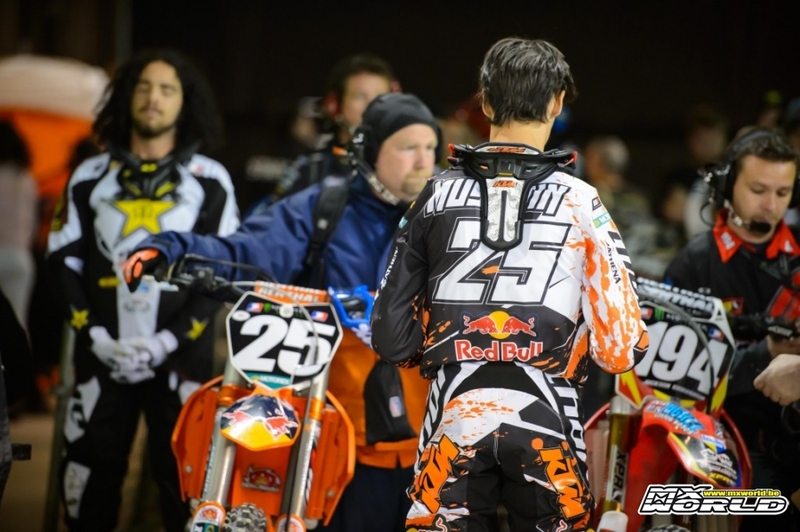 Behind Musquin, Wharton and Hahn scrapped it out for second place the entire time during what was largely an incident-free 250SX Main Event, much to the relief of the medical staff. Musquin made it three in a row ahead of Wil Hahn (GEICO Powersports Honda, 2nd) and Blake Wharton (Rock Start Energy Racing Suzuki, 3rd). “It feels good for sure but it was tough – you know – I rode here last year, the track was tough, it’s slippery!” Musquin said from the podium afterwards. The series takes a break for the Easter period and resumes on April 6 in Houston, Texas.